Firefighters on Tuesday continued to battle a destructive blaze in Lake County that has wiped out at least 22 structures and scorched at least 13,000 acres, according to Cal Fire. There has been progress in the fight against the flames, but not much. 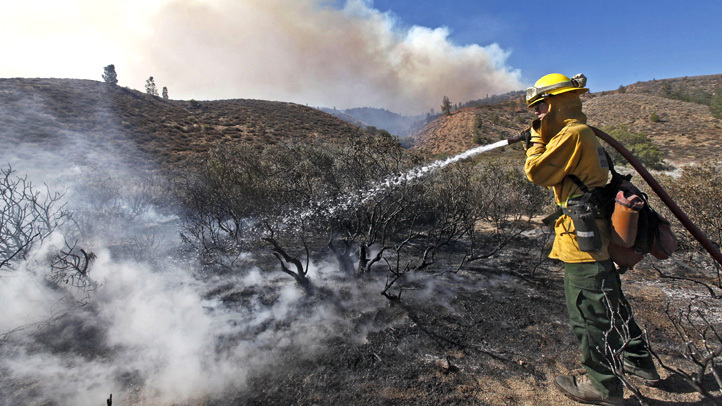 The Pawnee Fire was 17 percent contained as of Tuesday evening, according to Cal Fire. The fire that broke out Saturday evening has forced 3,000 residents from their homes. It is the latest devastating blaze to rip through the isolated and impoverished county of just 65,000 people in the last few years. Mandatory evacuation orders in Lake County are in effect for people in the Spring Valley community and surrounding areas, according to officials. The Lake County Sheriff's Department is posting detailed and up-to-date evacuation orders on its website. The Pawnee Fire continues to destroy buildings and burn through acres in Lake County as it enters its third day. Melissa Colorado reports. Gov. 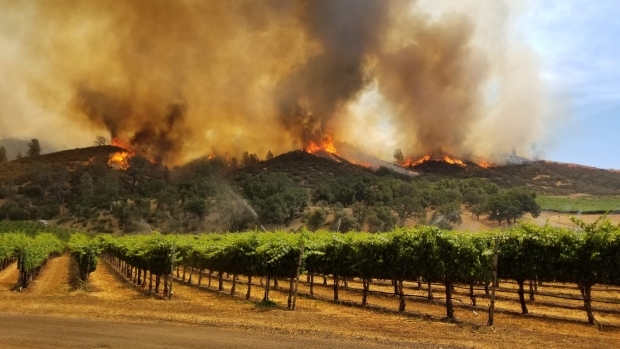 Jerry Brown on Monday declared a state of emergency in Lake County, where the fire was raging about 120 miles north of San Francisco, a rural region particularly hard-hit by fires in recent years. The declaration will enable officials to receive more state resources to fight the fire and for recovery. California Gov. Jerry Brown has declared a state of emergency for a Northern California wildfire that remains uncontained by firefighters. The state of emergency issued Monday allows Lake County to receive more state resources to fight the fire and for recovery afterward. 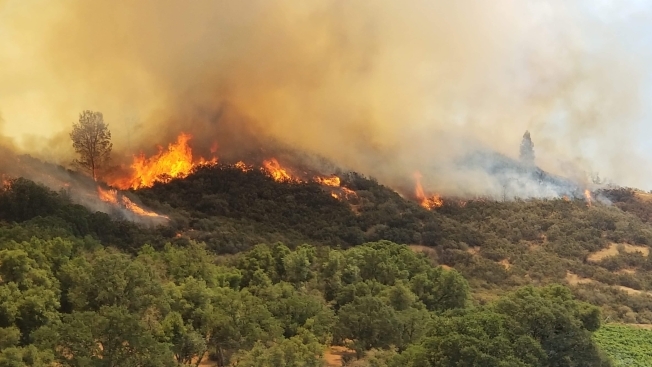 The fire, which started Saturday, has torched at least 8,200 acres and destroyed 22 structures, according to Cal Fire.